With the proclamation of the Republic of Latvia on November 18, 1918, Latvia had to fight for every inch of its land, liberating Kurzeme and Vidzeme from Bolsheviks, defeating the enemy in battles in Cesis and Bermontiade, as well as driving the enemy out of Latgale. Latvia proved that with courage, heroism, fervor, zeal, it can defend its sovereignty. During this difficult time, on July 10, 1919, the Latvian Army was formed. The Transitional Government officially assigned General Davids Simansons as the first army Commander-in-Chief, who issued Order No1 to the Latvian Army the following day. Centenary of the Latvian Army is a celebration for everyone – military personnel and the inhabitants of Latvia to honor perseverance and persistence of soldiers and volunteers, which nowadays can be compared to the readiness of members of the Latvian National Armed Forces and National Guard as well as every inhabitant of Latvia to defend our country. The Ministry of Defence and the National Armed Forces have drawn up a program of main celebratory events dedicated to the centenary of the Latvian Army and the War of Independence. Special events will be held not only this year, but also in 2020, when 100 years ago on August 11, 1920, a Peace Treaty was signed. In this period of 18 months events will be organized in the chronological order of historical events and decisive battles that took place in the territory of Latvia. Also municipalities have been actively engaged in organizing various historical events, emphasizing the significance of decisive battles in their areas. In addition, allied forces of Latvia will also get involved in organizing various events within this time period, reflecting their role in the course of history. On January 7, this year, Liepaja hosted the opening ceremony of events dedicated to the centenary of the Latvian War for Independence and the Latvian Army on the National Armed Forces Navy ship. Liepaja bears a historically symbolic significance, since exactly 100 years ago on January 7 the Transitional Government of Latvia made the decision so crucial and historic for the existence of our country – “to defend our country as long as there is hope”. Later the government was located on the ship “Saratov” in Liepaja. Starting with January 13, events dedicated to the Latvian War for Independence will be held in Kurzeme, when we will commemorate the first battle of the War of Independence in Lielauce; it will be followed by an annual event in Skrunda on January 29 – Flag Day. In March special attention will be devoted to the liberation of Kurzeme and commemoration of Colonel Oskars Kalpaks. The traditional regional military parade of May 4 will be held in Jekabpils and will thus enrich the celebration of the centenary of the Latvian Army and War for Independence. In May, events dedicated to the liberation of Riga will be organized. Later, on June 22, events commemorating battles in Cesis will be held, and on June 27-29 Liepaja will host the event of disembarkation of the Transitional Government of Latvia from the ship “Saratov”. 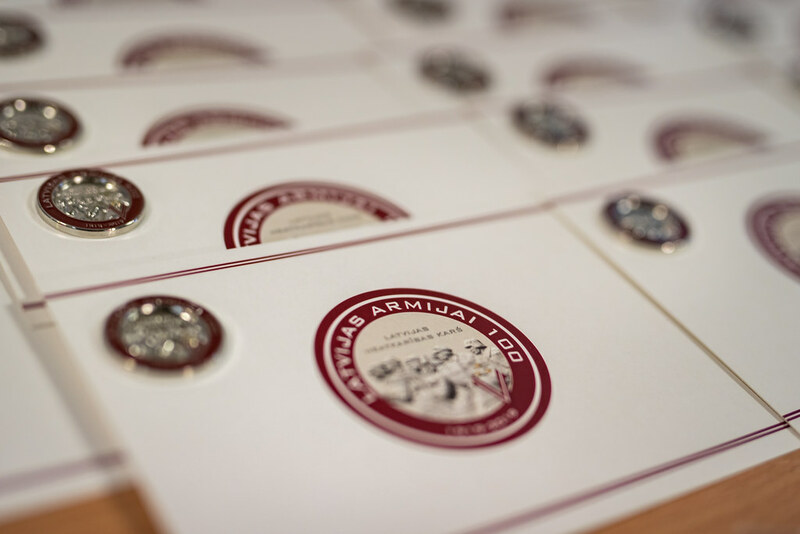 Significant celebratory events will be organized on July 6, in Riga, when a major concert is planned to honor the formation of the Latvian Army, when Order No1 was issued on assigning the Commander in Chief of the Latvian Army. This will be a special celebration not only for soldiers and members of the National Guard, but also for all inhabitants of Latvia. Throughout the year NAF Days will be organized in towns around Latvia – in Balvi (July 7), Viesite (October 14), as well as in 2020 in Daugavpils (January 3, 2020. ), Rezekne (january 21, 2020.) and Ludza (January 26, 2020. ), where liberation of Latgale will be commemorated with special events, and there will be an opportunity to obtain more information about the National Armed Forces. The events will conclude on August 11, 2020, when 100 years ago a Peace treaty was signed. Events will also be organized to honor centenaries of founding Latvian Air Force Regiment (June 7 -8), Latvian Navy (August 10) and NAF Staff Battalion (December 10.). It is undeniably important that historical testimonies are preserved and discussed in wider circles, therefore, on January 11 the Latvian War Museum will open an exhibition about the centenary of the Latvian War for Independence and will organize an International Conference of Historians. This celebration symbolizes soldiers’ heroism 100 years ago and nowadays, readiness of volunteers to get involved in defending their country’s safety and sovereignty (starting with a couple of hundred soldiers in 1918 that grew up to 75 000 at the final stages of the war) in long and fierce battles that lasted almost two years. The centenary of the Latvian War for Independence provides an opportunity to the public to gain more extensive knowledge about the complicated history of Latvia and encourages the public to get involved in state defence more actively. Latvia was, is and will be defended!